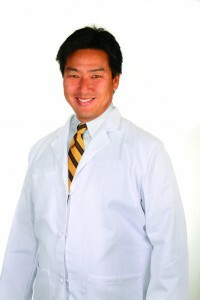 Dr. Eugene Kim attended The Lawrenceville School and Dartmouth College before attending the University of Rochester School of Medicine and Dentistry. He completed his Orthopaedic Surgery internship and residency at the Albany Medical Center Hospital in Albany, NY and the Shriner’s Hospital for Crippled Children in Springfield, MA. Before coming the Wyoming Valley, he was an Assistant Professor of Orthopaedic Surgery at the Albany Medical College. Dr. Kim practices general orthopaedics, with a special interest in Sports Medicine and arthroscopy. He also has experience in total joint replacement and trauma. He has board certification from the American Board of Orthopaedic Surgery, is a fellow of the American Academy of Orthopaedic Surgery, and maintains memberships with the Pennsylvania Orthopaedic Society, the American Medical Association and the Pennsylvania Medical Society.